Time was of the essence as I was travelling in less than two weeks. 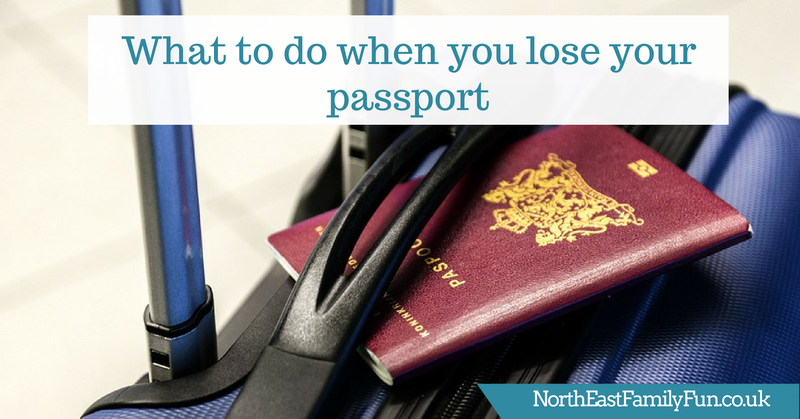 You can apply for a lost passport using the regular service at the normal cost of £85 if you don't need it urgently - this blog post is based upon my experience of needing a passport within 10 days. 1 - Check this link for information on how to get a passport urgently. Call the official passport advice line on 0300 222 0000 if you need up to date advice from a real person. 2 - After searching high and low, if you still can't find your passport, report it as lost using this online form. It's important to note that once you've cancelled your passport, if you then go on to find your passport it will remain invalid and if you use it, you'll be stopped at border control. You can't 'uncancel' a cancelled passport. According to official advice, you can't use a 'same-day' service if you've lost your passport. If you need a passport urgently, you have to use the one-week fast-track service which is what I used. I have heard tales of others being able to use a same-day service in exceptional circumstances though (although not official) and my best advice would be if you need your passport in less than one week, give the passport line a call and see what they say. If you don't need your passport anytime soon, I'd recommend using the regular service that does not require an appointment. I followed the steps to apply for an urgent one-week passport online. After cancelling my passport, I followed these instructions to book an appointment at my local passport office online. I booked my appointment on Thursday for the following Monday. Appointments are normally available within 2-3 working days. When you book your appointment, availability for every passport office in the UK is shown online. 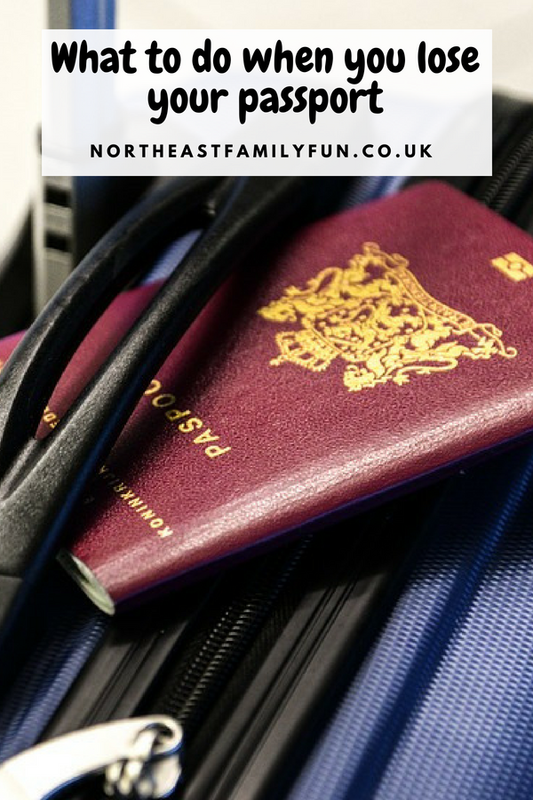 You need to pay for your passport application on booking - the cost for an adult fast-track passport is £142. You can change your appointment with more than 48 hours notice but refunds are not available for cancelled appointments. For a one week urgent passport, you need to complete a paper form available from the post office. Our local post office didn't have any forms and the next post office we visited had only just received a delivery so keep it in mind that you may need to visit a couple of branches. I asked for two forms in case I made a mistake. You also need two photos taken - I visited a proper photographer in Killingworth (£9.99 for 4 passport photos) as my photos from a passport photo booth were once rejected so I don't trust them! Complete the form as normal using the helpful booklet included in your pack for guidance. I find it bizarre that they ask for your parent's details including passport numbers and issue dates (which is awkward for me as I haven't spoken with my dad in 13 years). Why are parents more important than my own marriage? Anyway, that's a post for another day. Remember to use a black pen and concentrate! You'll need one of your photographs and your form to be verified by someone with a 'professional' job (which is also something that annoys me - a job role does not determine how honest a person is). I always use my Police Officer bestie for this job and she's a pro at signing passport forms now. My appointment was for 1:30pm on a Monday. You need to arrive 10 minutes prior to your slot and bring your completed form and photos with you. I don't know why but I was so apprehensive and nervous about doing this! It all seemed so official. I arrived in Durham with 90 minutes to spare. If you travel by train, the passport office is very well signposted and just a 10-minute easy stroll. I didn't need to use google maps once. 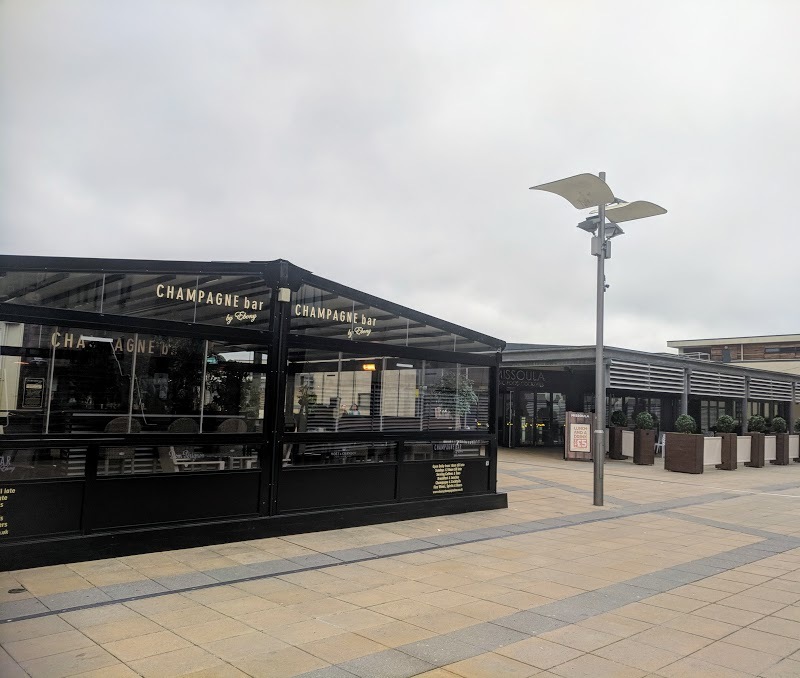 There are bars and cafes in the immediate vicinity if you're early (including a champagne bar) but I fancied a stroll around the city centre and along the river as it's very picturesque. I was hoping to visit Flat White but it's closed on Mondays but I found a lovely Italian coffee shop which was nice. The city centre is a 2-minute walk from the passport office so if you do have time before your appointment, I'd definitely recommend a stroll. I arrived for my appointment 20 minutes before my allocated time. To access the building, you' need to go through an initial reception with airport-style security. My pockets were emptied, shoes removed and bags/belongings placed in a tray to be x-rayed. I then needed to walk through a scanner myself and was then thoroughly hand-scanned by a member of staff. I had no idea this was going to happen and definitely would have painted my toenails if I'd have known! Then you need to visit the main reception desk and state your name and appointment time. You're given a ticket with a number and asked to sit in the waiting area until your number is called. It all very-much reminded me of Argos! They are very strict about not taking photos and staff were actively reprimanding those who were leaving and trying to take a passport selfie outside of the office. Respect the rules I say - you don't want to annoy the passport office! The waiting area was playing BBC News on the TV, there was a photo booth for those who may need one (take coins just in case) and the waiting room probably had around 10 other people in there. You are allowed to bring someone with you, if it was up to me, I'd bring the person who could verify my existence just in case there were any errors on the form. At least they'd be with you to initial or rectify any errors. Unfortunately, my bestie couldn't make it so crossed my fingers and hoped for the best. My number was called within around one minute of sitting down (and 15 minutes before my official appointment time). There are 10-15 numbered booths along the back wall. Kind of like a bank but without the bulletproof glass. I took a seat and handed over my form and photos. The lady on the other side of the desk was lovely. She quickly checked my form, tapped my name into the computer, confirmed my phone number, home address and email address in case they needed to contact me and then I was handed a slip with a tracking number on it. That was it! The whole appointment lasted around 2 minutes. There was no interrogation at all and the whole thing was actually a lot less nerve-wracking than using the check and send service at the post office where they seem to be almost too careful when checking your form. I find it weird that I didn't need to take any kind of other ID with me. You leave via a different door (with no airport-style security) and wait for your passport to be delivered to your home address. As my appointment was made in the afternoon, my passport was guaranteed to arrive within 8 days. If it needs to be 7 days, you'll need to make a morning appointment. My appointment was on Monday afternoon, on Wednesday afternoon I received a text stating my passport would be with me shortly, I received the scary sounding letter below on Thursday and my passport arrived on my doormat on Friday morning. An impressive service! Obviously, exact timings may differ. Yikes! I'd better now lose my passprt again! A 'normal' adult application costs £85 so my fast-track appointment ended up costing a whole £76.40 more (plus the fact that I've had to replace my passport earlier than expected so didn't get the best value out of my old one). I won't be making this expensive mistake again! Please note, this is just an account of my own experience and does not replace official advice. If you need to replace your own passport, ALWAYS check and follow official Government advice. Such a helpful post! I had always wondered. ouch an expensive loss isn't it. I am always really paranoid about where our passports are, and often just check every now and again. The problem is definitely when you need it for ID, it's so easy to just throw it down somewhere when you're tired and tell yourself you'll put it away in its safe place later. You have me thinking I should probably go and check mine is in its home now! I'm glad you managed to get it all sorted out so easily, but yes definitely don't lose it again!